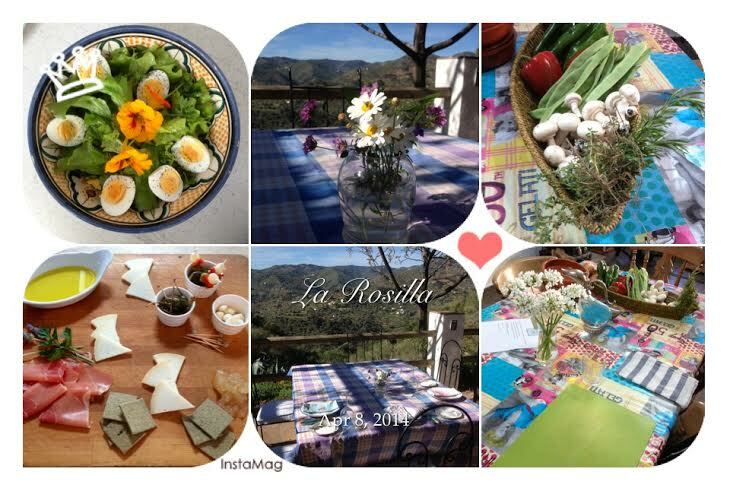 Savoury Dishes | La Rosilla - Lifestyle and food. One way to cool down, in the high summer temperatures is to enjoy a glass or bowl full of chilled Gazpacho. I keep a glass jug in the fridge to let flavours develop, and enjoy as and when. Healthy, revitalising and rehydrating, perfect for an alfresco lunch. There are many varieties and personal touches and changes people make to their recipes, using the abundance of fresh local and homegrown produce ensures a perfect result every time. Adding our own organic Extra, virgin, olive oil always makes me smile, a slug or two of aged sherry vinegar adds piquancy, together with fresh picked herbs, basil and mint are my go to’s. Some of us, or most are us are cutting back one way or another, it just seems the January rite of passage. Some of you may have already thought ‘tosh’ to the resolutions, January is tough enough as it is without, watching my weight, losing the booze, or tightening the purse strings, if that’s your choice embrace – Hell yeah. Well, I’m sticking on in there on all 3 counts for the time being, but when it gets to TGIF (Thank god it’s Friday) I need something to feel different, to look forward to, to make believe it’s party-time. Maybe one day it’ll all be fine and it’ll feel the norm for me, feeling righteous and holier than thou, I do believe in Unicorns but miracles ??? So I’m going to fake it a family favourite Sweet and Sour Pork and whilst preparing it I shall sip on a virtuous, totally VIRGIN Bloody Mary. Just to preach a tad, there are double benefits to making your own FakeAway, you know what is in it, making it much healthier and it costs so much less. WooHoo ! and as for the Virgin Mary, well that’s even one of your 5 a day- GET IN ! I will serve the Sweet and Sour Pork with roasted, sweet potato wedges dusted with Chinese 5 spice, on a bed of steamed Pak Choi. It looks fiddly, but it’s not, prepare everything then get cooking. Drain pineapple, reserving 1/2 the juice, set aside. In a small bowl, mix 2 of the tablespoons cornflour, 1 tbs water, garlic powder and 1 tbs pineapple juice. Put pork in a zip lock bag, or bowl and then add the above sauce and coat well, cover and set aside. In a small bowl, mix soy sauce, brown sugar, ginger, cayenne and remaining water, cornflour and rest of pineapple juice until smooth; set aside. In a wok over medium-high heat, stir-fry pork in 1 tablespoon oil until no longer pink; remove and keep warm. Stir-fry the broccoli, carrots, onion in remaining oil until tender. Stir cornflour and soy mixture and add to the pan. Add pork and pineapple, until everything is piping hot. 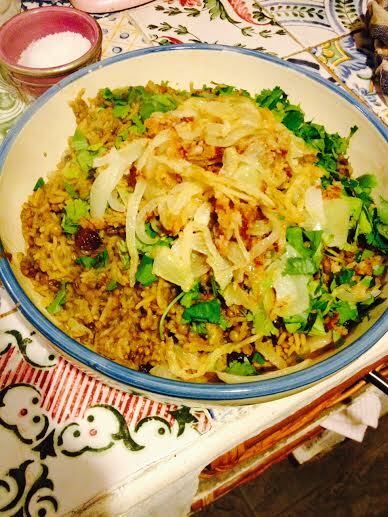 Serve with potato wedges, cauli rice or basmati rice – add fresh coriander too. Garnish with a celery stick. When we left the U.K lock, stock, and barrel in May of 2005, we gave away to charity and friends, flogged and chucked, many of our possesions, don’t worry we still bought an arctic lorry load of belongings with us. That was a challenge in itself, artic lorry, mountain roads, off-road tracks 😉 Of course, we offloaded our winter woolies, puffa jackets, and toboggans, why wouldn’t we? we were moving to Spain 😉 Yes, yes I know we should have done our homework, blimey I’d researched everything else, but the weather don’t be silly. One Saturday when we were on an idyllic family walk, 2,4 & 6 years old in tow, moaning, that it was freezing they could walk no further. Suddenly as a mother I thought, well perhaps we are a little unprepared, it became more peaceful then usual, slightly eery and a light we’d never experienced before. Heading back to warm by the fire and soothe tetchy toddlers with comforting ColaCoa (Hot Choc) we shut the day behind us. Awaking the next morning and opening the shutters the OH declared ‘Bloody Hell it’s snowing’ ‘SNOWING?’ with no central heating, and beautiful albeit rustic wooden doors and windows, the inside temperature of the house had dropped to 8 degrees. Dragon breath and icicles from the nose were the new personal accessories. After the initial shock we then had to plan for subsequent years, and actually, we are grateful to have changing seasons and weather surprises to keep us on our toes. We learned that up in the Montes the high peaks over 800 meters often have a cover of snow, us at La Rosilla at 600m, will get a flutter occasionally during winter but more than not it doesn’t settle. Now, this week the snow is BACK !! Last week we were basking in temperatures in the warm 20’s and now the thermometer isn’t getting above 8c in the day and freezing at night. It all adds to the January reality that it’s not always sunshine and siestas, and that we’re going have to dig deep to keep warm, keep nourished and keep on track to fulfill our New Years earnestness. Presently, this week the snow is BACK !! A week ago we were luxuriating in temperatures in the warm 20’s and now the thermometer isn’t getting over 8c in the day and glacial at evening time. Everything adds to the January reality that it’s not constantly bright and late lunch breaks and afternoon napping, and that we’re going need to burrow down to keep warm, keep healthy and keep on track to satisfy our New Years resolutions. Comforting but frugal food is on the menu, soups, curry, hot-pots and a favourite of mine the wonder of the slow cooker, to allow tantalising aromas of what you have to look forward when the days chores are done. Butternut Squash and Zataar Soup. Broccoli soup with melted cheese montadito. The abundance of summer and early autumn fruits are ideal to be preserved, to warm up a winters day. I have been generously given by ‘Mi vecinos‘ baskets of mangos, apples, limes, and chilies. So it was time to get my big pan out and get busy. 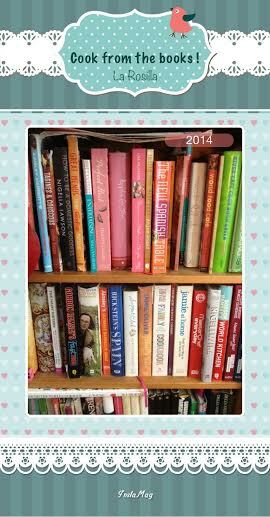 These are two of my favourite recipes that I adapt according to what spices, sugar, and vinegar I have in the larder. The aroma as they bubble away is so comforting and is an ideal job to do when you have a few hours to while away, chopping, stirring and jarring. Spiced Apple fruit chutney: Ideal with cheese, cold and roasts meats & pates. Mango chutney: Ideal with curry, poppadoms, bhajis, loaded on cottage cheese, or on top of baked brie. 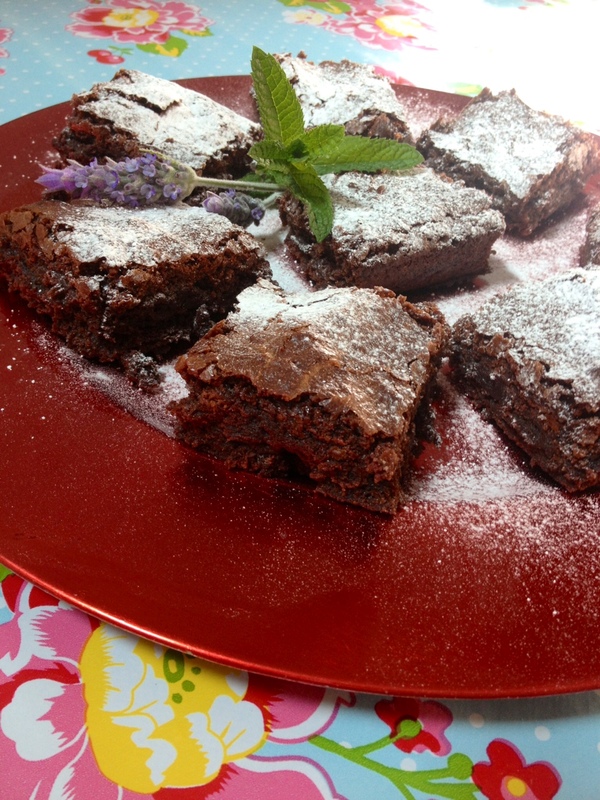 Both recipes would make ideal Christmas presents for a ‘Foodie’ part as a hamper for a family gift. We have been as busy as the springtime bees at La Rosilla. Preparations are under way for the summer season ahead, and with the fortunate warm temperatures we’ve been having, we’ve been making hay whilst the sun shines . The annual paint-a-thon has started, whitewashing and freshening up the outside of the house, bringing back it’s summer brightness. The garden has been tackled, and weeds pulled. The vegetable patch has had some new summer seedlings, courgettes, tomatoes, lettuce, pumpkins to name a few. 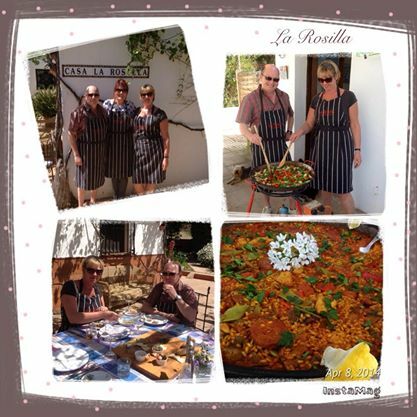 Guests came from Belgium to experience a La Rosilla Paella Day, and the weather was glorious showing off the mountain in all it’s splendour . Our eldest daughter has returned from the U.K for the Easter holidays, so we have enjoyed our first family alfresco meals of the year. When she returns I like to rustle up some of her favourite Spanish dishes, to welcome her home. This weeks recipe for my #cookfromthebooks challenge is from the wonderfully complete book by Pepita Aris ‘SPANISH’ . Recipes clearly photographed and presented, covering all aspects of Spanish cusine from all regions. The book has been republished many times and a while back, I professionally reviewed it, on behalf of Books 4 Spain. It is a cook book I return too frequently, and all dishes I have prepared from it have become a main part of my Spanish repertoire, tweaking as I feel fit. 450g Cooked Mussels ( Steam and then cool). Open the mussels, snap off the top shell and leave the mussel attached to the bottom of shell. Lay the shells in an ovenproof dish, packing them closley. Mix the melted butter, olive oil, Parmesan, parsley , garlic and breadcrumbs together . 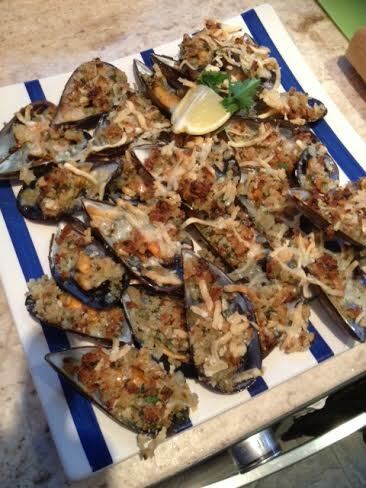 Gently put a tsp of the stuffing mixture onto each mussels. Grill the mussels on high until they are sizzling & golden. With springtime comes babies ! Baby animals, and while playing on the land, our youngest daughter stumbled across two tiny weeny kittens just hours old, that had been abandoned probably by a mother that had been frightened away by local dogs. Unable just to leave them to perish, we have taken on the task of hand rearing them, a rewarding but very tiring task and with an uncertain ending. We are doing our best and are taking each day as it comes, 2 hourly feeds through the night too ! So I’m feeling in quite a zombie state today, I do not miss the sleeplessness nights of years ago …So watch this space, and send me luck, patience and stamina. #cookfromthebooks Week 14 Big wheels & seaside rock. I seem to have muddled up my weeks, that’s not difficult for me ;). 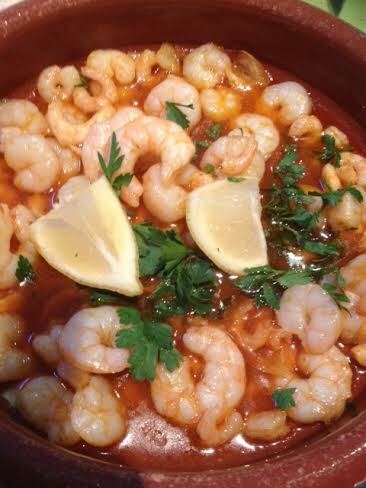 So my #cookfromthebooks challenge, is a medley of what I’ve been up-to, and a favourite recipe from La Rosilla. I would love of course to travel with my cook books in tow, well they’re my babies, but don’t think I could get away with that on my low cost airline travel bag allowance ! I am now back on my m0untain at La Rosilla, and have been rewarded by wall to wall sunshine and and balmy temperatures. I have been most lucky, as I too enjoyed lovely warm spring temperatures for my last few days in Sussex. I was fortunate to be given a guided visit of Brighton and amble along the pier, through the lanes and parks and have a birds eye view of the city on the giant ferris wheel. Suitably proud of my bravery ( I don’t do heights) once over the initial revolution, and only looking forward I actually quite enjoyed it ! Obligatory rock for my children was purchased, and seaside photos taken. Students, picnicked, and braved the cold sea, folks relaxed on traditional deckchairs, beautiful Brighton was alive. During my two weeks away caring for my charge, I loved pottering in my cosy cottage kitchen and rustling up dishes and flavours with seasonal produce. Guests were invited to join us for supper, and I thoroughly enjoyed helping my charge entertain once more since the passing some years ago of his wife. A trusty La Rosilla favourite recipe of Smoked Mackerel and Horseradish pate, with a Beetroot compote started our meal, and was washed down with a chilled bottle of fizz. Salt & freshly black pepper. In a bowl stir the cream cheese until soft. add chopped mackerel and stir through. season and just before serving stir through chopped chives. 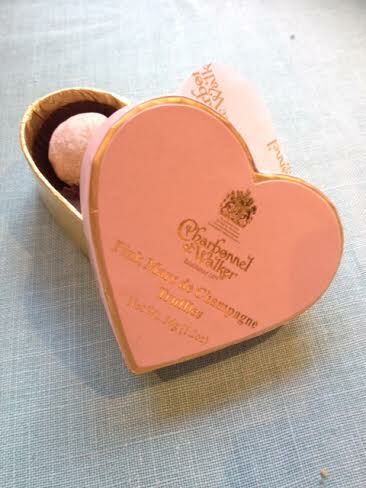 This is lovely served as a dip with crudites, or put into tiny croustades for canapes. 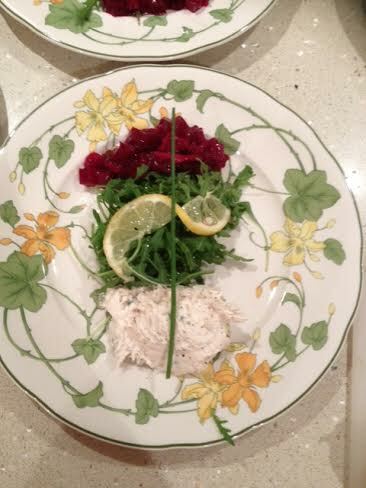 I served it with home-made bread, and zesty beetroot compote & peppery rocket salad. Case over-loaded with choccie goodies, a delicious leg of lamb for Sunday lunch, and food magazines, I headed home, until next time. I am experiencing many firsts over the next two weeks, definitely testing my personal strength and mind and something I am sure once I’ve completed I will look back on and say, it was a doddle, well hopefully that’s my plan 😉 ! I have flown from Spain to care for an elderly gentleman for 2 weeks in beautiful Sussex, an area unknown to me, I’m a Warwickshire lass, it feels very south. Obviously not as south as the Montes of Malaga, but still South. I’m staying in a country cottage, down a quiet country lane, in a village like a grew up in where everyone still says ‘Good Morning’, many with a plum in their mouths 😉 Very Dibleyesque. All though bitterly cold, (my blood must’ve thinned) it is so lovely to see all the spring flowers lining the villages, fields and hedgerows, whether the sky blue or grey these flowers lift the spirits and give hope. I’ve filled a jug with cheery daffodils for my bedside table, a pretty sight first thing in the morning, when the dawn chorus has woken me so early !!! It is though a pleasure to be spending time with someone who at the ripe age of 89, loves to wine, dine and socialise, I think some one I will aspire to be like. So I may have left my kitchen behind, but my La Rosilla apron came with me and when the going get’s tough I’m going to cook myself through it. Here we come to the Aga, always on my ‘One day & wish list’ having spent many a day warming myself around friends Agas, when living in the U.K, a real feel of ‘The heart of the home’ but never having cooked on one I’m finding it’s a learning curve, a happy learning curve. After waiting for my eggs to boil for what seemed likes yonks, I realised my pan was on the simmering plate, not boiling plate. My chicken roasted to perfection, almost like in a dutch oven, and my bread, now that made my day, home-made bread and Aga’s they just seem like a married made in heaven. Sun-dried tomato and seed bread. handful of mixed seeds, sunflower, pumpkin etc. In a large bowl put flour, and salt, make a well and gradually add water/yeast mixture, stirring as you go. Add olive oil, and then with your hands bring the dough together and kneed for a 10 mins until smooth and elastic. knock the air out of the dough, kneed a little and then shape to required shape, slash a cross in the top with a sharp knife and sprinkle the seeds on top. Bake in the roasting oven of the Aga, or in a hot oven for 25-30 mins. You can tell when it is cooked through when you tap the bottom of the loaf and it sounds hollow. Enjoy hot out of the oven, with lashing of butter and bowlfuls of home made soup, perfect for a chilly day. Until my next AGA SAGA, wish me luck on my duty. #cookfromthebooks Week 7 – Marvelous market produce. Having spent a wonderful night in Malaga, it was a perfect opportunity for me the next day, to spend some time browsing and sampling produce at the amazing Atarazanas food market . Normally when I visit the market it is a first port of call, and I can’t carry much, I always think next time take my wheelie, shopping carrier, but do I remember NO ! This time I had my OH in tow and spare hands to carry the shopping bags. The array of produce, was alive with spring colour and aromas, freshly caught fish, just picked vegetables from local allotments, and bread baked that morning, meats and cheeses from the mountains, a true spectacle of deliciousness. Choosing which stall to purchase from is my hardest decision, all the stall holders are so friendly, welcoming and offer advice and their superb product knowledge, but one this time especially caught my eye. The stall was full of unusual vegetables, violet potatoes, mushrooms of all types, micro salad leaves and edible flowers, cherries dark like rubies, mangoes sweet to smell, asparagus gathered that morn, tomatoes purple like plums. As we grazed & learned our basket was filling up nicely. With all these delightful goodies, my #cookfromthebooks challenge this week, was sort of preempted -Mushroom risotto it had to be. Many years ago I was given Ainsley Harriott’s Gourmet Express, and a few of the recipes became family favourites, like his chicken liver and tarragon parfait, and crispy noodle wrapped prawns. 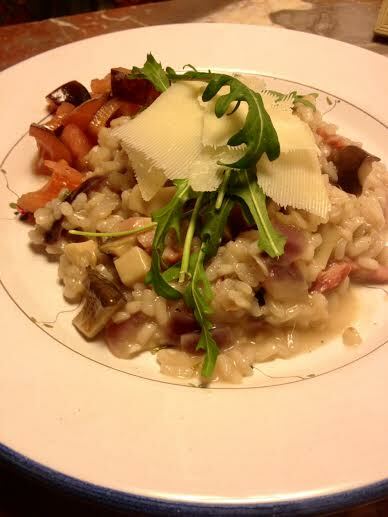 His mouth-watering mushroom and onion risotto became a comfort staple, economical, but indulgently satisfying. The basis of the recipe I use all the time, adding various ingredients to suit my diners and also what’s in the larder or fridge. So armed with my beautiful Boletus mushrooms, pancetta, red onions, I set out on the calming process of creating risotto. Heat butter and oil in large saucepan and saute onions and garlic, until softened. Add bacon and fry for 2 mins. Add chopped mushrooms and saute for a few mins. Add rice and stir to coat in oil and flavours. Add white wine and let bubble for a min. Gradually add stock and let each addition be absorbed by the rice, should take about 20 mins gently stirring regularly . You want your risotto to be tender & still creamy. Add the Parmesan and parsley ,season & serve. I served our risotto, with Parmesan shavings, rocket leaves and chopped purple, tomato salsa. Other risotto flavours that are popular at La Rosilla, are courgette and lemon, blue cheese and walnut, fresh herb and broad beans, options are endless. Number 1 daughter returned home from a very wet Herefordshire for her half term break, hoping for her cockles to be warmed and her pale skin to be rosied but we can’t always provide !! So it’s home fires burning, hot bots in bed and 2 pairs of socks to keep her tootsies warm. Candles are always at the ready at La Rosilla , baskets filled with tee-lights to be lit in every room, normally to create a cosy ambiance but at this time of year for necessity too. With wind and rain comes the power-cuts, all part of the adventure of our lifestyle. I find this cook book, uplifting, clear and easy to follow. Good hearty recipes, beautifully captured in photos. 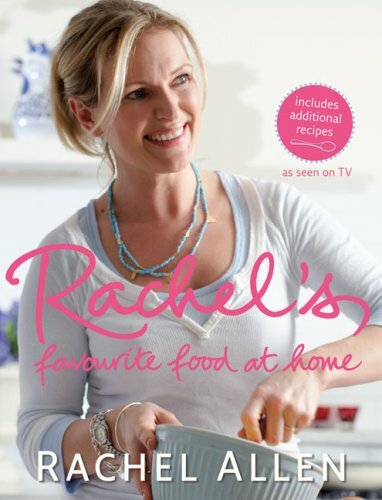 Family favourites, dishes for occasions and basic must know tips for all cooks. The Chicken pie with bacon and peas wasn’t a fast throw it all together affair, but worth the time and effort. Like normal I adapted it to suit our tastes and and what I had in the fridge. The pie in the recipe can be topped with mash or puff pastry, I used a filo topping, to add a slightly more sophisticated pie, to serve for supper guests. I also used pancetta, instead of ham, which added an extra richness. I served this with roasted butternut squash cubes, in caraway , not all guests were willing to try ‘Can’t do orange veg’ they said !!! and for green, french beans sauteed in butter & garlic. To finish the week an event we knew was looming on the horizon, but hoping it wouldn’t and not knowing when it would, came to fruition. For many Ex-pats living in Spain, we have a guilty pleasure, or for some of us a necessity to watch UK TV to keep us up to date of our home-land, receive world wide news in our own language, or for me the obligatory watching of the many ‘Foodie’ programmes . Never have I watched a ‘Soap’ in 9 years but Saturday Kitchen, Masterchef & my ‘Jamie’ these are my moments of weakness and now they are GONE !! The UK have changed their satellite position, and now we can no longer tune in to our favourite channels 😦 . There are ways and means, and options being advised, sold, hawked as days go by, but as in sit, switch on and watch NO ! I know we’ll get used to it, and maybe find that life we actually came to live on a mountain for. I have a pile of books to get through, jigsaws to make, and DVD’s to watch, so once I’ve finished sulking and got my head around it, all will be fine….Hurry up summer, when late night terrace sitting, and the only thing we watch is the night sky for shooting stars. Until then a plateful of home-made ‘Melting Moments’ from my treasured, well thumbed, Nan’s ‘Bero’ recipe book, will do the trick. My well loved recipe book from my Nan. Melting Moments, with cranberries , coconut & oats. Oats, dessicated coconut & cranberries to decorate. Cream togwther butter & sugar, add vanilla. Stir in flour and mix well. With your hands bring dough together. With wet hands divide mixture into 36 balls and roll and coat with coconut or oats. Place on a greased baking sheet slightly apart and flatten a little add a dried cranberry to some. Bake at 160c for 12-15 mins until golden. 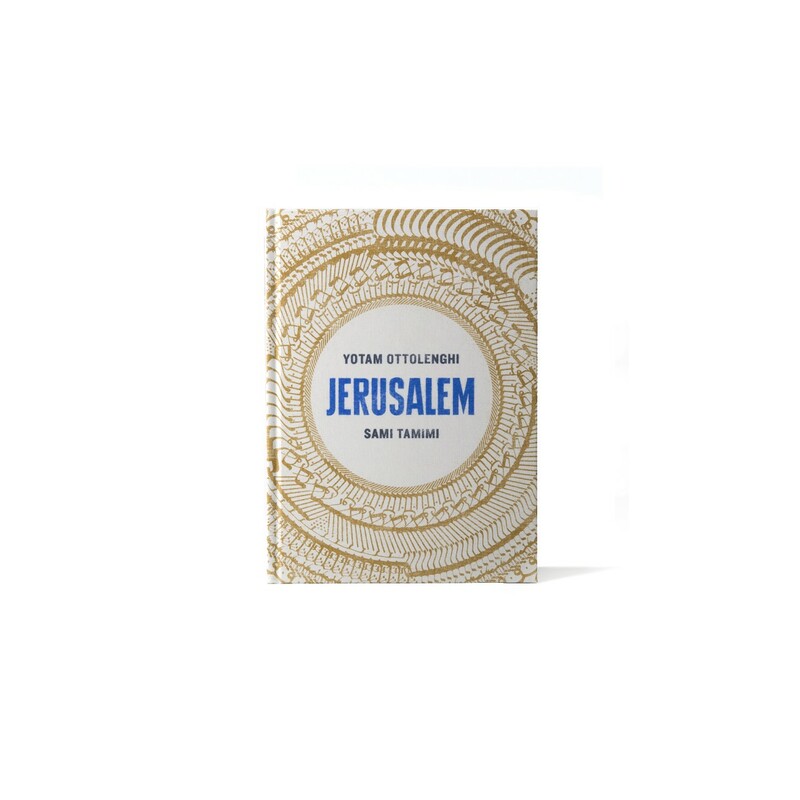 One of my all time favourite chef and cook book writers this week, all hail the Great ‘Yotam Ottolenghi‘ and recipes chosen from his beautiful book written with Sami Tamimi, ‘JERUSALEM’ sharing recipes from their children memories, family occasions and homelands. Yotam’s books that he has created are stories and works of art, shared through food and delicious food photography – Definitley books to have on show, even with well worn, spiced stained page corners. I was introduced to Middle Eastern cooking and flavours many years ago, through a Palestinian friend, who was eager to share his love of warm, aromatic spices and regional cuisine with us. For a long time, I left the cooking to him, sitting back and relaxing and soaking up the flavours and heady scents with the dishes he created. On moving to Spain some 9 years ago, I started looking back into the history of Moorish spices and their influence in many Andalucian dishes, and then took inspiration from many new recipe books and ancient flavours that were being highlighted from these Eastern climes. Most recipes focusing on locally produced, home grown ingredients, abundantly using fresh vegetables, healthy pulses and heady fresh herbs and spices. Dishes to share with friends and family. My recipe this week for my #cookfromthebooks challenge was MEJADRA, descibed as an ancient dish, popular throughout the Arab world, many families taking a huge pot of Mejadra with them to share on a picnic, with a spoonful of fresh yoghurt. 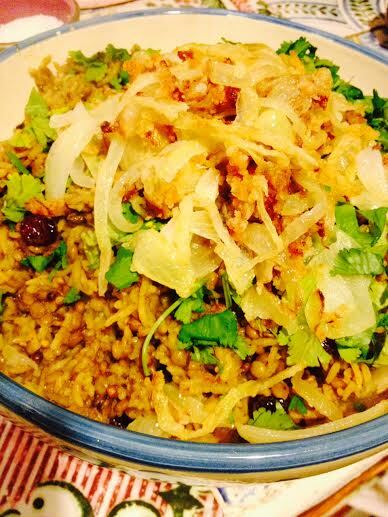 It is a sweetly spiced, comforting and warming dish of rice and lentils, laddened with sticky caramelised onions. I added, as I do 😉 a handful of dried cranberries, and fresh mint and coriander chopped and stirred through the dish at the end, to add a lightness to this rich dish. This dish although simple in ingredients and economical too, was easy to prepare but not quick, I found it stir, relax and sip cooking, perfect for a weekend evening when there is no rush. In a small saucepan place the lentils with plenty of water to cover, bring to the boil and then simmer for 12-15 mins until slightly soften but still with bite ( I added a bay leaf with my water), then drain. Place the onions in large plate or bowl and sprinkle on the flour & salt, mix thoroughly. In a large saucepan, heat the oil until hot. Divide the onion into small batches and fry until golden and brown and some crispy. Don’t crowd your pan at this stage as it will create steam and the onions will just soften. As the onions are cooked transfer to a colander lined with kitchen paper to drain. Sprinkle with a little more salt. Wipe the saucepan clean, then toss in the coriander and cumin seeds to toast for a minute or two, until their aromas are reale4ased. Add the rice, olive oil, turmeric, allspice, cinnamon, sugar and salt & pepper. Stir to coat the rice in the oil and spices, then add the lentils and water ( here I added a handful of dried cranberries) . Bring to the boil, cover with a lid and then simmer on a a very low heat for 15 mins. Take off the heat, remove the lid quickly and place a clean tea towel over it the pan and replace the lid, to allow it to rest and steam for 10 mins. To serve, layer the dish with rice, lentils and half the onions, ( I stirred fresh herbs in here) more rice and lentils and top the final dish with the crispy caramelized onions. COOKING : Easy but not quick. On friday night we also had ‘Ottolenghi’s’ Turkey & Courgette burgers with spring onion and cumin, these were a winner all round.